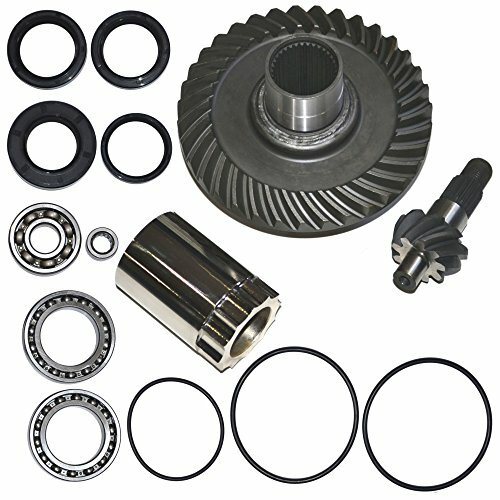 Honda TRX300 300 Fourtrax Rear Differential Ring and Pinion Gear Plus Kit 88-00. THIS BRAND NEW AFTERMARKET DIFFERENTIAL KIT HAS BEEN INSPECTED FOR THE HIGHEST QUALITY & THE HIGHEST GRADE MATERIALS HAVE BEEN USED IN THE MANUFACTURE OF OUR KIT. NO OTHER DIFFERENTIAL KIT CAN COMPETE AGAINST THE RELIABILITY & QUALITY OF OUR KIT. DIRECT BOLT ON !!! PURCHASE INCLUDES: 1x DIFFERENTIAL GEAR. 1x DIFFERENTIAL SHAFT. 1x TOOL. 3x O-RINGS. 4x SEALS. 4x BEARINGS. If you have any questions about this product by TOP NOTCH PARTS, contact us by completing and submitting the form below. If you are looking for a specif part number, please include it with your message.